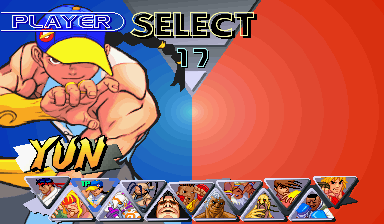 REVIEW: Following Capcom's long-running tradition with the Street Fighter series, Street Fighter III: New Generation receives its first update with SFIII: 2nd Impact! 2nd Impact adds 3 new characters: Hugo, Urien, and Akuma. Returning Kung-Fu skater and brother to Yun, Yang, also received a brand new moveset and playstyle (instead of being a carbon copy of Yun). 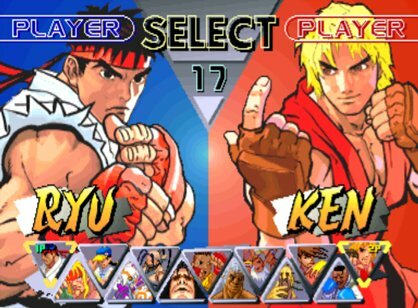 This technically makes Yang the 4th new character in the game, and thus, offering a much more vibrant roster than SF3: New Generation. Even though Akuma & Urien can be called "sprite clones" (because they use the base animations of other fighters), the newcomers still have a handful of unique moves and animate with incredible fluidity... not to mention they definitely have unique play-styles. 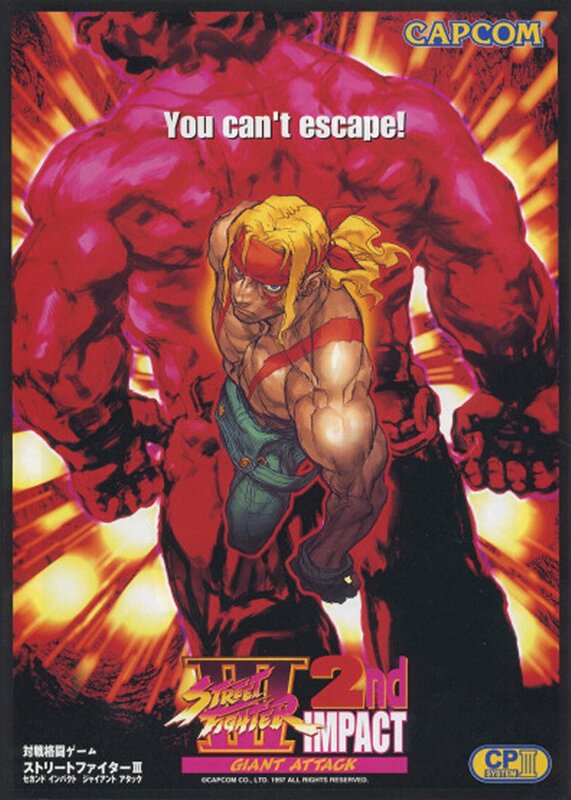 But easily the most head-turning new addition to SF3's line-up is the massive pro-wrestler, Hugo... or "Andore" as old school Capcom fans knew him from the classic arcade hit, Final Fight. 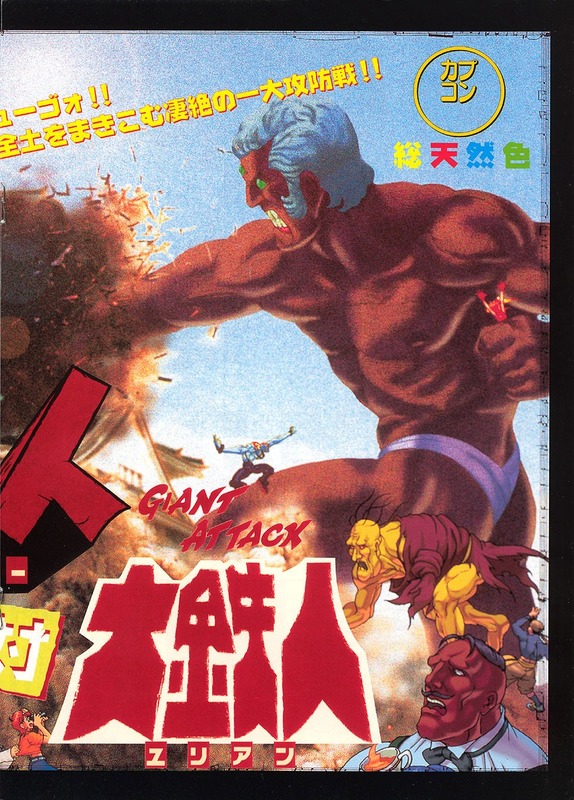 It should be noted that SF3: New Generation didn't really have a "big" guy besides Alex, so Hugo definitely filled the role as the new BIG guy in Street Fighter... and damn is most definitely BIG. In terms of 2D animation, Hugo also shows off some amazingly smooth animation for such a huge character sprite. 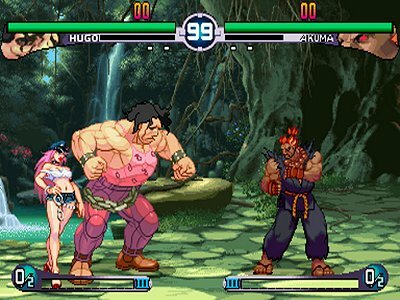 Hugo's lumbering, sloppy pro-wrestling fighting style definitely makes a statement, and looks like nothing we've ever seen before in the fighting game realm. 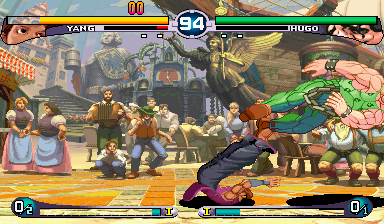 Along with a more diverse roster, SF3's has become more technical thanks to some new gameplay enhancements. "EX Specials" have been added in, which allow players to use their Super Gauge energy to make character's special moves faster and/or more powerful. Players still select from three different Super Arts per character, but now have the choice of spending meter on their Super Art, or using several EX Specials to mix things up. 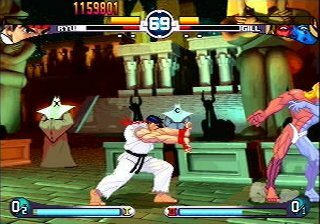 One of the main (and only) flaws about SF3: New Generation was that it was a bit "slow" in terms of gameplay... but as a reboot title, Capcom was understandably going back to basics and "playing it safe". 2nd Impact's EX Specials really help speed up the gameplay and add plenty of new strategies to each match. 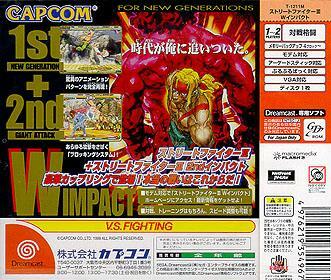 (On a side note, 2nd Impact's EX Specials would later be "borrowed" by many other fighting games for decades to come.) The parrying system was also tightened up in 2nd Impact, and turned out to be more solid and more challenging than in the original. Hugo is tired of being just a random Final Fight baddie. 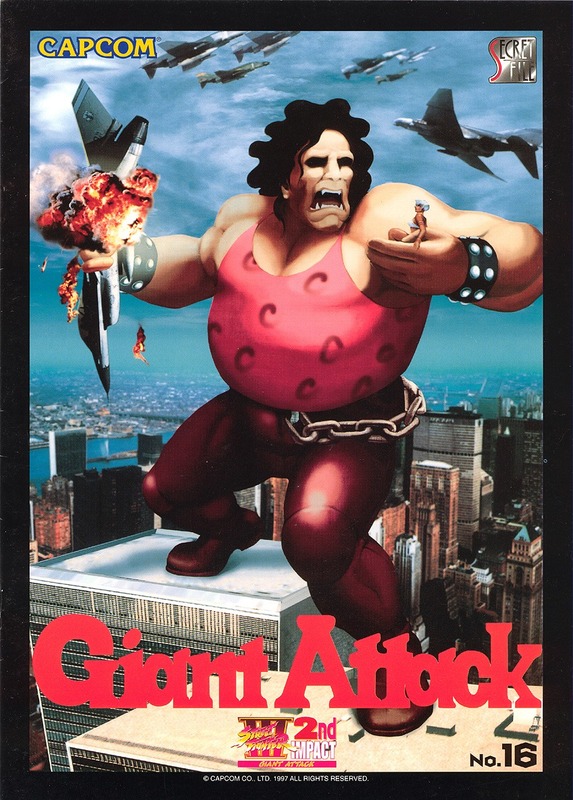 Graphically, 2nd Impact is one of Capcom's finest, and easily one of the best looking 2D fighters of the time. The returning character artwork was borrowed from the first game (and is definitely badass enough to be reused), but of course, the new characters were drawn in the same awesome "sketchy" style, which really sets the series apart from others artistically. This not only includes character select portraits but also win & loss artworks after battles (still and amazing presentation). 2nd Impact also shows off a variety of new hand-drawn stages, with several classic returning backgrounds featuring new visual elements (and new BGMs). Finally, Street Fighter III's animation is still at the top of its class. Not only in terms of "fluidity" and including many authentic martial arts techniques, but especially... ouch factor. 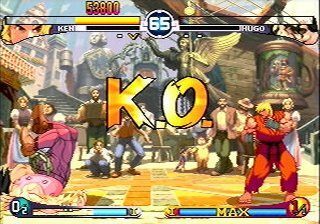 To me, there's nothing more satisfying than hitting moves like Ken's Shinryuken, Alex's Hyper Bomb, Hugo's throw into clothesline, and the list goes on and on. Not only does SFIII's animation aesthetically please the eyes, but makes the game "feel" smooth and especially fun to play. 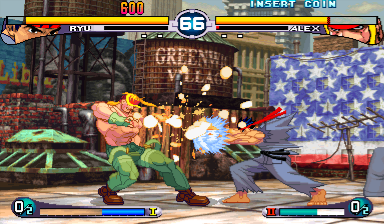 SFIII enabled players to anticipate the opponent's attacks, parry, and counter with hard-hitting stylish badassery. New York rooftop battle... epic stage & BGM! Like SFIII: New Generation, 2nd Impact didn't receive a "widespread" release outside of the arcade scene. 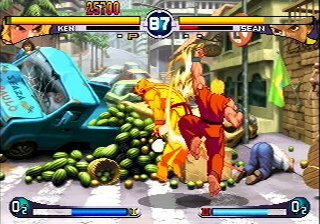 However, the Dreamcast exclusive "SFIII: Double Impact" port featured both New Generation and 2nd Impact on one disk, and was easily one the best 2D fighting games on the system. Furthermore, 2nd Impact was one of the defining 2D fighters games of the era... even though it didn't get much mainstream recognition. 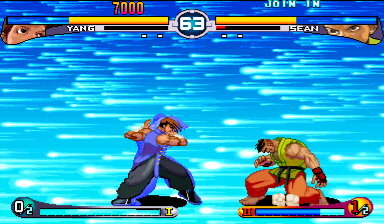 Still, 2nd Impact made the bold statement that "traditional 2D fighters aren't dead"... at a time that 3D fighters and 2D tag-team fighters were innovating and dominating. 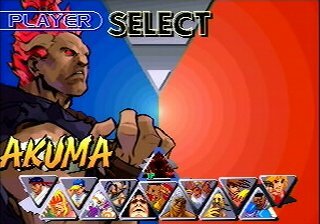 For 2D fighting game fans that were paying attention in 1997-1998, 2nd Impact's fresh roster, tight gameplay, and awesome presentation was not under-appreciated. I personally enjoyed New Generation quite a bit, and quickly fell in love with 2nd Impact. 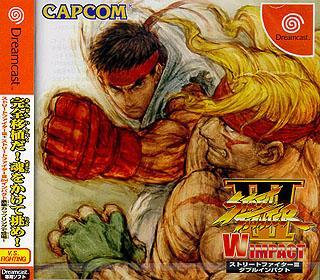 Of course, both games were important stepping stones to the great sequel known as 3rd Strike.